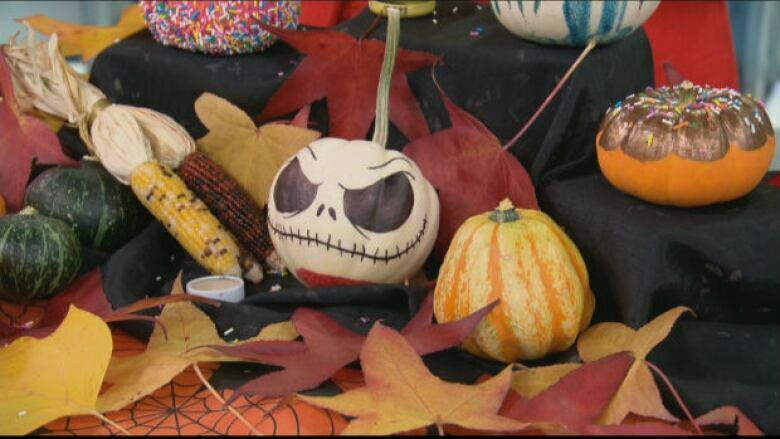 Youtube crafter Mei Yu from Fun2draw shows us how to paint little pumpkins in a few different ways for the Halloween season. When Vancouver's Mei Yu was growing up, she loved arts and crafts — but she didn't have anyone to teach her how to do them. She learned to draw anime on her own, and forced herself to be creative. "I didn't have any art teachers, there was no YouTube, no Internet — I had to teach myself how to do everything," she said. Now she helps young people in similar situations by producing a series of short videos that demonstrate how just about anyone can craft. Yu's Fun2draw channel on YouTube has more than one million subscribers. Viewers learn how to draw cartoon characters, movie stars and animals. And she has a special craft just in time for the Halloween season: pumpkin painting. Learn how to turn a tiny pumpkin into a sprinkled doughnut — and watch host Gloria Macarenko try to paint one too, on CBC's Our Vancouver. You can also learn how to turn a pumpkin into Pikachu, or Jack Skellington, on Yu's YouTube channel. Is Day of the Dead the next Halloween for marketers?